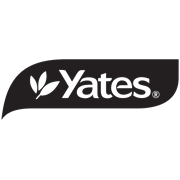 Yates Tomato And Vegetable Dust Insecticide controls caterpillars, leaf spots and other insect pests and diseases on tomatoes in the home garden. Dust when the air is still, preferably in the evening or early morning. Apply more frequently during rainy weather. 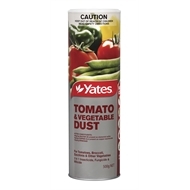 Avoid excessive application to seedling tomatoes. 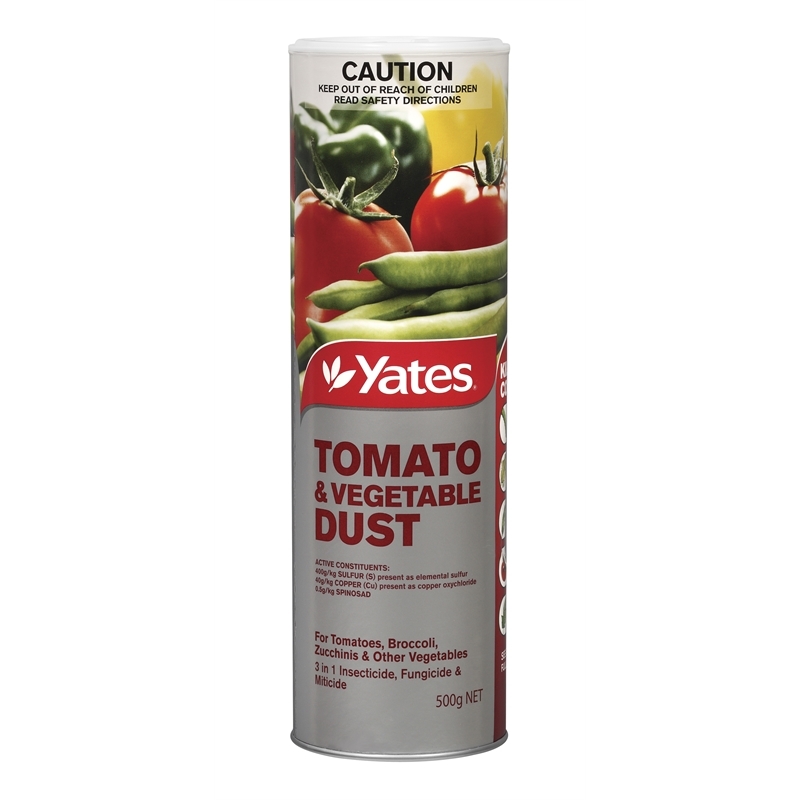 Do not pick tomatoes for 3 days after dusting.